You know from my post last week that I've started collecting art for my kitchen. It started with these alphabet frames (by the way, I found a great spot for them. I'll show you when I do my big kitchen reveal). Then I did the crochet butterfly. Some of my art has been pretty quick, like printing vintage images, but I also wanted to have some meaningful pieces that I made myself. Cut a piece of cardboard to size or use the inset of your frame. 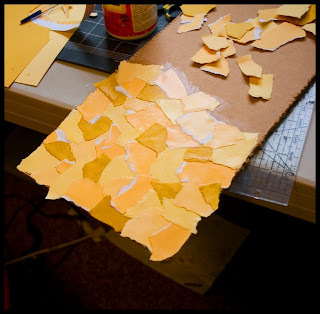 Tear scraps of colored cardstock into smallish pieces. I did all shades of yellow to coordinate with my kitchen colors. 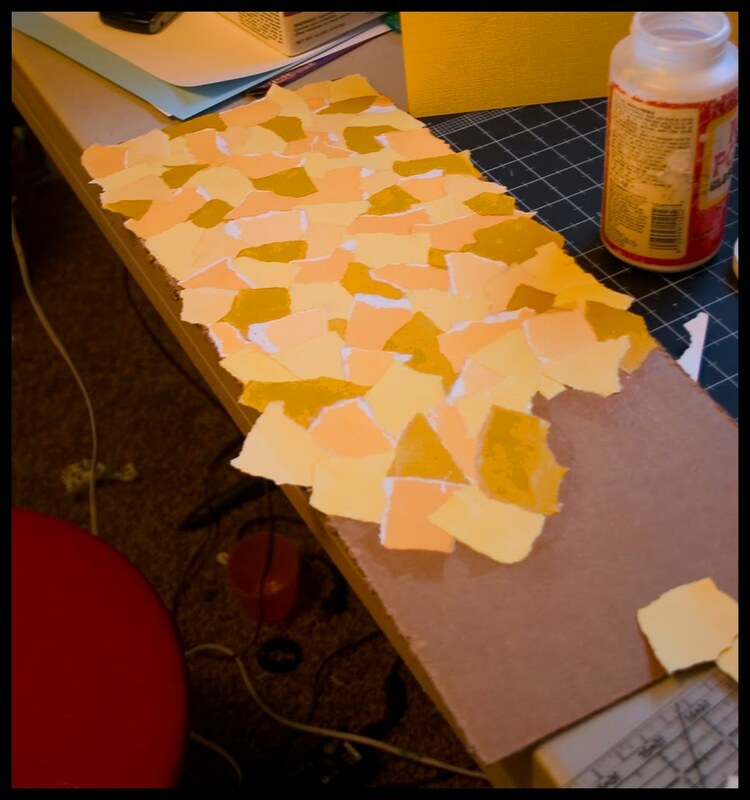 Then I started layering them. 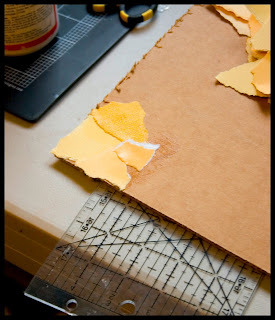 I found it easiest to put a thinish coat of mod podge on the cardboard, then put the scrap on, then mod podge over it. Keep going until your background is covered. Let dry. 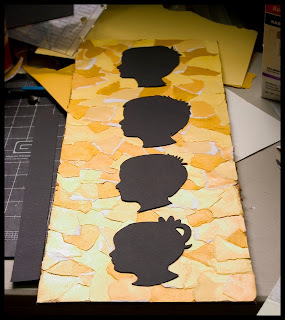 By the way, Allison from House of Hepworths inspired this method with her paper bag background idea, which I also love. Turn over your piece and cut off any overhanging paper. 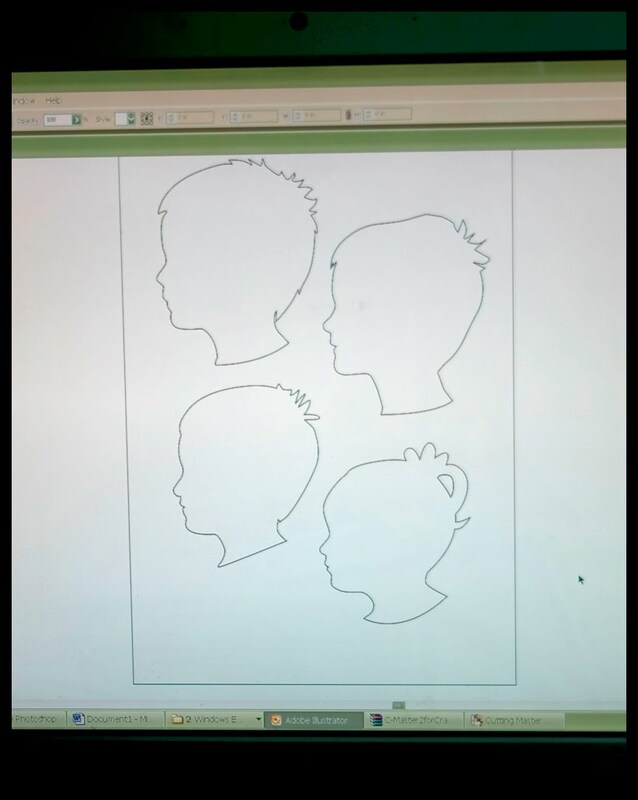 Decide on how big to make your silhouettes, then print out pictures. Here's a good tutorial on how to cut them by hand. 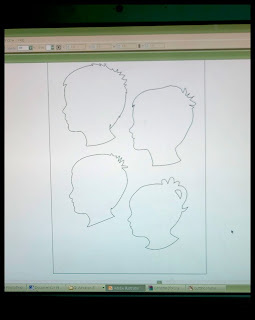 I actually had silhouettes in vector files from a project I started last year and never finished, so I used my Craft ROBO to cut out mine, but that sort of technology is completely unnecessary. 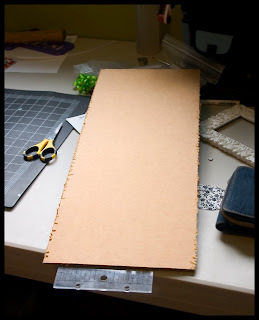 Like how I cut down a Cricut mat when I couldn't find the one that goes to my Craft ROBO? 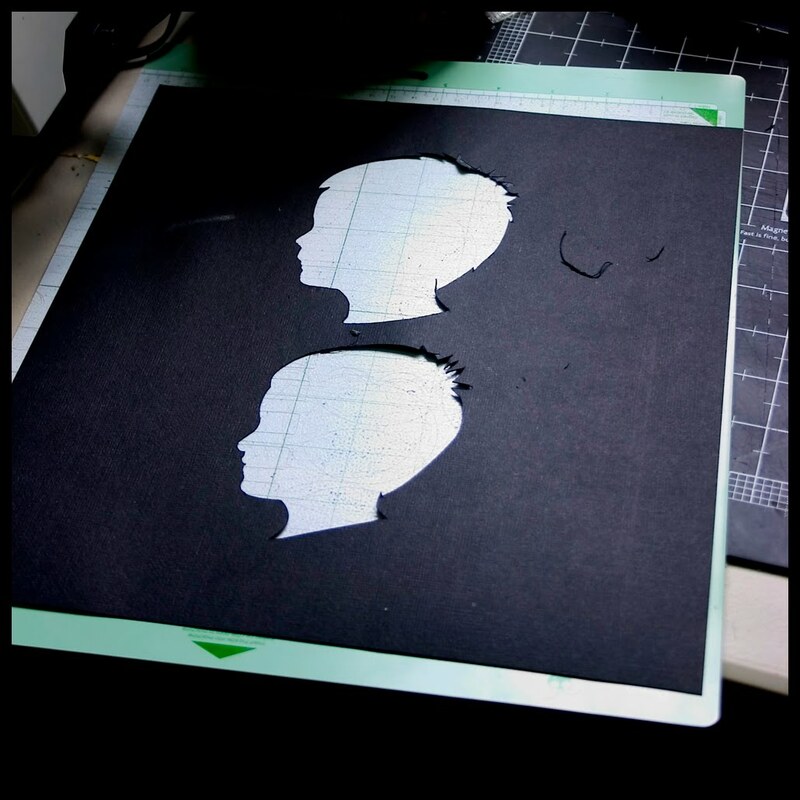 It worked ok, although I think the Cricut mat is a bit thinner than the ROBO's. Cut out silhouettes. Arrange on background. Tape down. 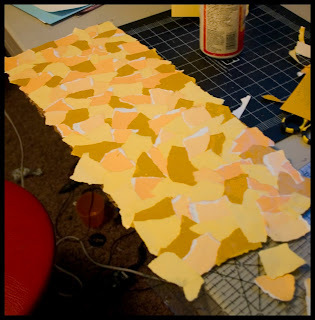 I opted not to Mod Podge, but that's totally an option. 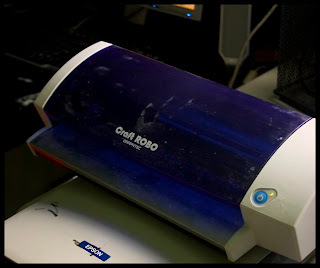 I just though I might have fun updating it in a few years, so I just used some scrapbook tape runner to attach it. Put in frame and hang. The kids adore it. As soon as I hung it up, Aubrey was pointing out who was who and saying she was up there with her friends. I love how cheerful my kitchen is starting to look. Happy Dance Happy Dance. 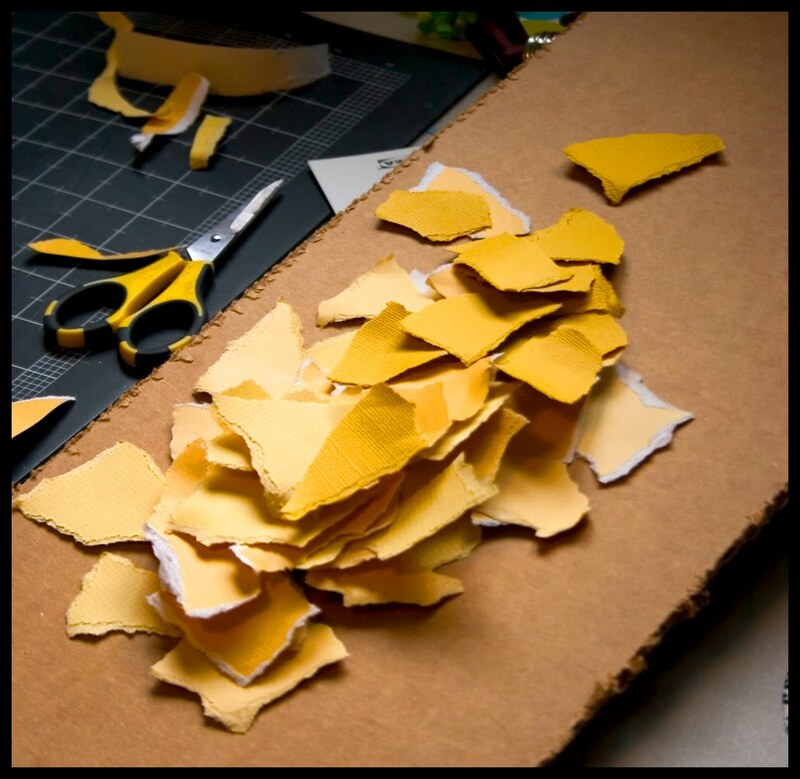 For other tutorials, check out my full list here. This is soo cute! Thank you for explaining how to do this so well, you have given me the courage to try this on my own. I love this idea! I want to do this in our hallway in black and white. Thanks! Great job! It's always these personal items that take it from house to home. But seriously Kara, do you ever stop?!! You make me tired just thinking of all that you create, and oh yeah, four kids to take care of. This is so neat and unique!